Architects, engineers, draftpersons, builders and even owners may own interests of significant commercial value in sketches, designs, plans and drawings which form an integral part of the building, engineering and architectural industries. Copyright is an important asset and may be of great value to many in the building and construction industry. Our principal has conducted architectural copyright litigation successfully in Federal, County and Magistrates’ Courts and has presented papers on architectural copyright. We are familiar with the significant and at times critical importance of protecting copyright. 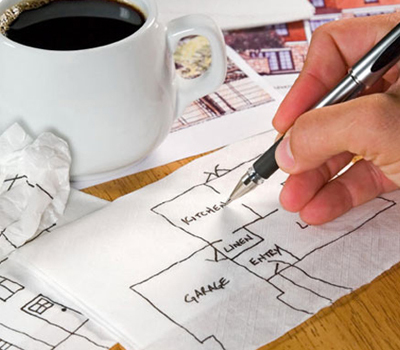 Frequently, architects, engineers, draftpersons, builders and developers expend much time and money in the creation and development of sketch plans, designs, plans and the like. The investment in such assets usually enhances the profile, reputation, value, commercial viability and the very business of the investor and is frequently used to set the investor apart from competitors and to distinguish its brand and reinforce its niche in the marketplace. It may be for this reason that copyright should be vigorously defended and protected. Our clients in this area include architects, engineers, draftspersons, builders, developers, private individuals and owners.